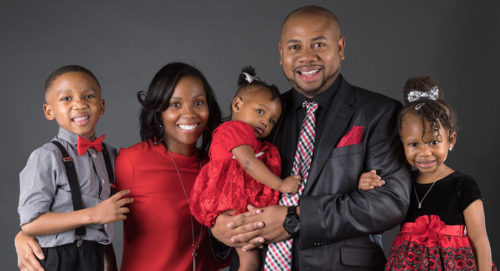 Demontae Edmonds: "Keys to Raising a Prophetic Family"
I've gotten to know Demontae Edmonds in the past couple of years and we interviewed him last year on our TV show, Elijah Streams. 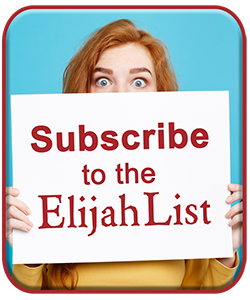 I've found him to be highly accurate in his prophetic words and to us personally at the Elijah List. You're going to love this word by Demontae, as it carries prophetic insight for your family! Throughout the ages we have seen powerful ministers and ministries. Imagine the multiplied affect of having powerful ministry families. Families where the parents, siblings, and grandkids are all walking in God's divine order and displaying the glory of God in the earth by fulfilling their callings. I believe this is one of the major keys to the next Great Awakening and Reformation within the Body of Christ and Earth. "Keys to Raising a Prophetic Family"
One of the strongest facets to building a strong local church and empowering the Body of Christ is to build strong families. Families are the nucleus that societies have been built upon. Historically, societies that had weak family structures suffered from moral decay and collapse. God instituted the first family in the earth when He created Eve as a helpmate for Adam. I would like to venture and say that much of the Bible is a "family affair." Much of the Old Testament is based on the promise to Abraham that he would have a family and lineage through the promised child Isaac. We then discover that God takes a divine interest in family affairs while reading about Joseph being restored to his brethren, Isaac supernaturally finding a wife, and God using siblings (Moses, Miriam, Aaron) to serve as deliverers for Israel. Raising a prophetic family means to co-labor with God to raise a family that reflects the divine nature of God, so that each individual fulfills their prophetic purpose in the earth. I would like to share some of the keys that I have learned that will help parents to accomplish this task. "Knowing God for one's self creates an internal foundation that helps to keep one from stumbling or being derailed by the enemy." There is an event that has become common in the world of motherhood and pregnancy. It is called "The Gender Reveal." During this event, family and friends gather with the mother-to-be to find out the gender of the baby. Often the mother has already been to the doctor and had an ultra-sound done, but has not opened the results. On the day of the reveal the results are opened declaring if it is a boy or girl in the mother's womb. Family and friends celebrate the moment together. There is another reveal that I would like to call "The Big Reveal." First, I would like to share a story from before my wife and I had three children. When we were first married God told me to grab a pen because He was ready to speak to me about my children to come. As I grabbed the pen I begin to hear God speak clearly about each child. He gave me some things about their characteristics, their divine callings, and their personalities. My wife was ecstatic to read the prophetic words at the time. These words became more meaningful as we have actually birthed children into the earth. One day, we were reviewing our archive of prophetic words and discovered that the words pronounced by the Lord fit each child exactly. Before their birth God had given us the "Big Reveal" – meaning that He revealed each child's PURPOSE in the earth. Many Believers (even pastors) have children but never ask God to reveal their purpose. We must remember God's words to the prophet Jeremiah found in Jeremiah 1:5, "Before I formed you in the womb I knew you, before you were born I set you apart..." God is saying, "I KNOW your children BEFORE you know them. I have a plan and purpose for them before they ever set foot in your house, graduate college, or get married." We should pray to find out the purpose of God for our children as early as possible. 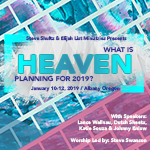 The foreknowledge that we gain from God regarding our children can be used as a tool to help develop and raise them according to Heaven's blueprint for their lives. It will help us to identify their God-gifts and talents. For instance, God revealed that one of our daughter's would have a mercy gift (Romans 12:6-8) and a low tolerance for injustice. When someone is sick in the house she is the first to want to take care of them and nurse them back to health. During a time when my 5-year-old son was beat down by a nasty stomach virus, my 4-year-old daughter tells my wife, "Don't worry. I will stay in the room and take care of him. I will call you if I need any help!" In the grocery store she saw a man in a wheelchair and went over to rub his back as a form of encouragement. We help to nurture her gift of mercy and encourage her to embrace it versus telling her that she is being too kind. Daniel stood before kings and rulers, but he was positioned and prepared at an early age to stand in this place of Kingdom authority. Daniel 1:17 says, "As for these four youths, God gave them learning and skill in all literature and wisdom, and Daniel had understanding in all visions and dreams." His gifts and talents were developed as he lived in the court of the king. See the God-given potential in your children and work to develop it! There are times when God will give dreams and visions that pertain to our children. I recall the story of a certain pastor who awoke one night with a vision that his son was in a bad accident. He began to pray for his son's safety until God gave him a release in the spirit. The next day his son called and informed him that while he was riding his motorcycle around the sides of a mountain the weather was inclement. He feared for his life as big trucks and other vehicles were speeding around the corner. It was at the exact time that his father (who was in another state) had a dream and unction to pray for him. He could have very well saved his life. My wife had a dream that God told her that satan would try to put a stutter on my son to affect his self-confidence and keep him from speaking. She shared the dream with me and we both were surprised because at this time our son was still a baby. Suddenly one day, years later, our son had a stutter. He had been talking fine previously and it came seemingly out of nowhere. We recalled the dream, and God promised that if we prayed and extended our faith, the stutter would be broken! These are just two of many examples of how God may speak to you about your children through visions and dreams. Paying attention to these revelations can very well save their lives. The great evangelist, Jesse Duplantis, always recounts how he could never get away with wrong-doing because his mother would always see in the spirit what he was doing. She continued to "watch and pray" and the result of this is that he has become a great preacher, winning tens of thousands of souls worldwide. "One of the strongest facets to building a strong local church and empowering the Body of Christ is to build strong families." Kids can do so much talking that we can become desensitized to hearing their little voices. It is important to pay attention to what they say and how they say it. One day while talking to my son, he mentioned a dream that he had where God spoke something to him. I said, "You never told me that!" Obviously God had been speaking to him in the night hours unbeknownst to us. I could have missed this moment and revelation by not listening and tuning him out. It is important to pay attention to dreams or visions that our children may experience. We cannot simply dismiss things they tell us as "fantasy" or "daydreaming." It may very well be God dealing with them and preparing them for their prophetic future. The story of the boy prophet Samuel tells the account of his mentor and senior, Eli, who summoned Samuel. Samuel had told him that he kept hearing a voice calling his name, "Samuel, Samuel!" and he thought it was Eli. Eli could have dismissed the "hearing" of Samuel as mere fantasy and sent him back to bed with a sharp rebuke. Instead, Eli used the moment to nurture the young Samuel in his own walk with the Lord. 1 Samuel 3:8a-10, "Then Eli realized that the Lord was calling the boy. 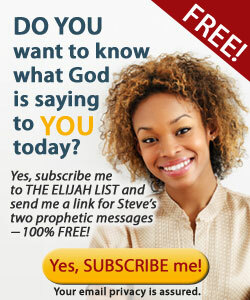 So Eli told Samuel, 'Go and lie down, and if He calls you, say, "Speak, Lord, for Your servant is listening." So Samuel went and lay down in his place. The Lord came and stood there, calling as at the other times, 'Samuel! Samuel!' Then Samuel said, 'Speak, for Your servant is listening.'" Eli's reaction to Samuel gave him the wisdom needed that caused Samuel to respond properly to the dealings of the Lord. This caused Samuel to have his own personal encounter with the Lord and to begin to know the voice of God for himself. This brings us to our next key that will help us to successfully raise prophetic families. Our kids must have their own encounter with God. Just like Samuel, it's important for them to know the voice and presence of God for themselves. I have witnessed over the years friends who served the God of their mother, father, and grandmother but didn't know God or the Word for themselves. When hard times and disappointments were encountered, these individuals often fell away from church and God. Knowing God for one's self creates an internal foundation that helps to keep one from stumbling or being derailed by the enemy. 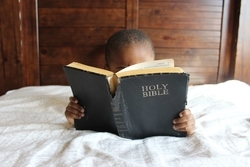 Also, if the child has a ministry calling upon her or his life we must be careful to allow God to work out the calling. Many leaders have tried to pressure their children into serving God or following their footsteps into ministry to only have them walk away with distaste for ministry. God witnessed to me years ago that it was my job to model Christian leadership in the home, lead in prayer, and pray over the children and that He would do the rest. The Holy Spirit has His own way of orchestrating the circumstances and time for encountering us and calling us into the work of ministry. He may use parents to bring confirmation, but ultimately it's His work and His assignment. For your child to know that it was God who called them and not "mother" or "daddy," causes them to be able to function with confidence and endure tough times. Demontae Edmonds serves the Kingdom of God as servant, prophet, and apostolic leader. He has ministered throughout the United States and abroad. His heart is to reveal the reality of Jesus Christ and the glory of God in a real and tangible way. God has used him to bring healings, deliver major prophetic words for nations, economies and top church and secular leaders in several nations. He has accurately prophesied detailed events, including US elections, Nigeria's 2016 elections, and other specific world events. Apostle Edmonds resides in Virginia with his family.